Hi everyone! Would you believe we’re almost half way through the year already?! Since our last newsletter we’ve had an industrious few months with sales staff and customer orders keeping us on our toes, while our development team has been working on upgrades that take advantage of open standards. In this issue we share news of our latest sales, conference exhibits, product developments, an update on iTransitNW, and more. So, without further ado, please read on to learn more. More and more transit agencies are looking at ways to achieve cost efficiencies through collaboration initiatives, such as shared technology costs and services. 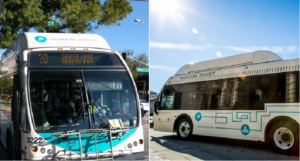 Having good relations with neighboring agencies, Pasadena Transit recently contracted Connexionz to upgrade its BusFinders to support multiple RT feeds and ETAs. The aim is to make it quicker and easier for riders to access arrival information on all connecting Los Angeles Metropolitan Transportation Authority (Metro) and Foothill Transit buses at the stop. Connexionz’ R&D team rose to the challenge and upgraded the units to support Google’s transit feed specification (GTFS) – a popular transit standard for collecting and sharing real time (RT) data feeds. Pasadena Transit couldn’t be happier with the result. The upgrade is significant for the transit industry as it opens a communication channel between an agency and potential new riders. For Connexionz it’s a major commitment that will also appeal to transit agencies that share stop locations with other transit agencies that use Automated Vehicle Location (AVL) transit manager systems. Brian Garrett, Connexionz US Sales Director says, “The GTFS RT feed upgrade is another positive step towards helping public transit networks improve and consolidate services, while making life easier and more convenient for riders. Pasadena Transit Senior Planner – Transit Division, Sebastián Hernández, said, “Transit apps are great for trip planning, but BusFinders are the most direct way to communicate ETA’s to our passengers. There is no need to download apps, find websites or call someone. The times are active and ready to show our passengers when the buses will arrive at a push of a button. 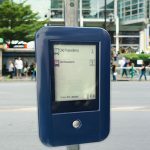 The Connexionz’ solar BusFinders are very popular with our riders for enhancing their journey experience. In recent weeks our second generation solar BusFinders have been racing off the production belt to meet increasing demand. Seventy new units have been ordered by the Christchurch City Council in New Zealand as part of its vision to becoming a leading Smart City. 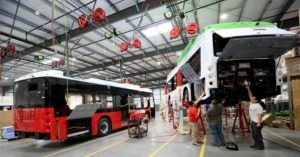 Pasadena Transit ordered 80 GTFS-RT BusFinder upgrades, with plans to acquire a further 30 units this year, plus 30 units were installed across California for other existing clients. 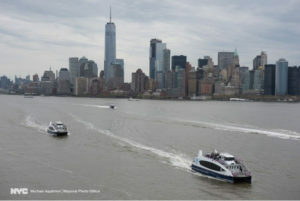 After winning the contract last year to integrate Connexionz technology on New York’s newest commuter ferry service operated by HornBlower, we’re pleased to announce that the core project was successfully completed last month. The aim of the project was to install Connexionz smart transit technology to provide an enhanced commuter experience, while ensuring optimal maintenance and performance of NYC ferries. Mayor of New York, Mr. Bill de Blasio, originally presented the idea of a ferry service as an alternative to the subway. According to the New York Times, he committed about $390 million to build docks in waterfront neighborhoods that were poorly served by the city’s public transit system and hired HornBlower to build and operate a fleet of boats. The city launched the service a year ago and quickly found that it had underestimated the demand. HornBlower is currently ferrying an average of 12,000 passengers a day, with expectations for this to climb given that half a million New Yorkers live within walking distance of a ferry stop. With two of the four ferry lines already carrying more passengers than expected, the city is looking at adding new express routes to get commuters to and from work more quickly. With City officials now projecting that NYC Ferry will attract as many as nine million riders annually (twice their initial forecast), the Mayor is committing an additional $300 million to expand the service and double the capacity of its fleet. “To meet this demand HornBlower is building more ferries to launch new services for customers. Now that we’ve seen what Connexionz can do, we’re looking at where else we can integrate modern technologies to improve operations and passenger experience,” said Lambson. 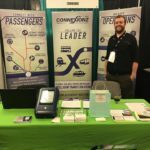 Connexionz is making excellent progress on the development of the new iTransitNW regional passenger information system announced at the end of last year. Contracted by Valley Transit, the soon to be launched “iTransitNW” portal and smartphone app will connect several transport networks across three US states to enable passengers convenient access to real-time information on all rural and intercity transit and transfer connections. News of the initiative has generated several excited enquiries with many regional agencies keen to jump on board. The aim of the iTransitNW project is to create an effective and service-enhancing web portal that would provide a single point of entry for riders to access relevant real-time bus arrival and departure information. When connected to on-board technologies, the portal would support and display multiple feeds of data from all participating networks in the region. This is a technically challenging project and a unique initiative for the transit industry. 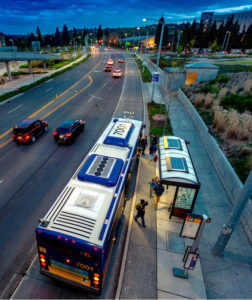 The goal of iTransitNW is to fulfill a widening gap between small urban, city, and rural transit. It will enable smaller regional agencies to meet urban-standard customer expectations through affordable shared access to an advanced intelligent transit system. Photo: New battery-electric buses under construction for Tri Delta Transit and Valley Transit. 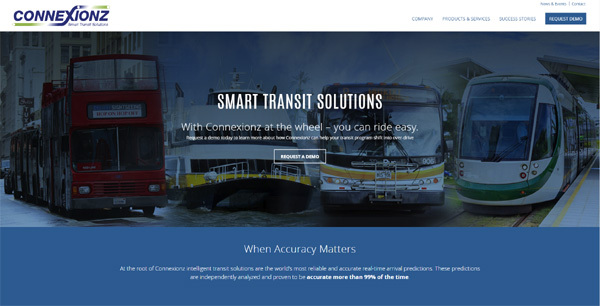 Both transit agencies will proudly feature Connexionz advanced AVL hardware and software. The shared ITS model makes obvious sense for regional transit: it’s cost-effective and makes use of modern technology to deliver a more informative, safe and appealing experience for riders. The Connexionz development team are currently working on completing the web design and server configuration, while our technical team work on deploying the hardware and meeting with interested partner agencies. As our urban centers grow and become more congested, ensuring a reliable, safe and secure transit service is imperative to keeping our cities moving. Modern advances like solar and open standards are making big impacts in transit; providing new and environmentally friendlier opportunities for improvement, while also reducing upgrade, install and maintenance costs. Connexionz is introducing the flexibility of our GTFS solar BusFinder to the US market and discovering products that will work well for seamless integration and service enhancement. These include lighting, solar spas, bus shelters, and more. At Pasadena Transit, we’re working on a pilot with UrbanSolar and their popular PV shelter lighting which can provide additional useful solar power to our BusFinder unit. Our two products work well together as the PV shelter lighting not only makes people visible to bus drivers, it makes them feel safer at night. And with clear viewing of real-time bus arrival information on the PV stop’s solar-powered BusFinder, riders can have more control over how they spend their time. In March this year, we sponsored and participated in the South West Transit Association’s Annual Conference and Expo at the Colorado Convention Center in Denver. It was a fantastic three days of innovation indulgence and networking. According to former Denver resident and Connexionz US Sales Manager, Brian Garrett, there is no better group to showcase Connexionz’ newest innovations in solar powered real-time applications than the sunny southwest. “After talking with many excited southwest USA transit professionals, it was no surprise that in this sunny metropolis, solar is a hot topic. The BusFinder demos were well received and numerous agencies are curious about how they might be able to procure technologies that use the sun for power and disperse real-time information across numerous stops; without the use of a smart phone,” he said. 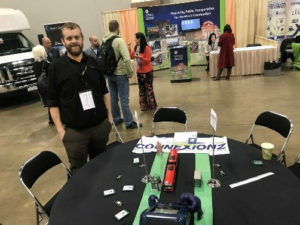 During the expo Connexionz entered and won the fun ‘lunch table’ contest with the decoration themes ‘Freedom through Transit’ and ‘Denver Big Blue Bear’. The prize was a free booth for next year’s event in El Paso, Texas. Thanks, SWTA! Just days after packing up from SWTA in Denver, Brian Garrett headed across to Newport Beach in California to attend one of our other favorite transit expos – CalACT. 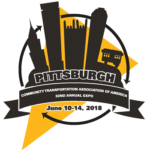 The expo is the largest state transit association in the US, with over 300 members dedicated to promoting effective community transportation. Connexionz has been a member of this association for many years. “CalACT’s focus on digital display technology allows us the opportunity to develop relationships with content providers, hardware providers, and partners in the market. We’re looking at opportunities where we can potentially integrate technologies to create the most advanced real-time passenger information tools in the market,” says Brian. We first introduced Brain Garrett when he joined Connexionz as our US Sales manager back in January last year. Since then he’s made an enormous impact in helping to drive new sales, enter new markets, and open our first US office in Santa Clarita. Brian always had a healthy personal ambition. He first developed his passion for technology when he helped lead CloudBlue, an eRecycler startup, in to a successful acquisition by Ingram Micro in 2013, while continuing to manage business development and sales personnel. In the ensuing years, Brian also managed to achieve a major personal goal to lose a few pounds – a whopping 220 of them! The accomplishments gave him the confidence to move to Colorado and pursue a career in innovative technology with smaller sized firms. Luckily for Connexionz, it ended up being a great fit and through the experience he has since gained, he developed a passion in transit mobility and service and the people it serves. 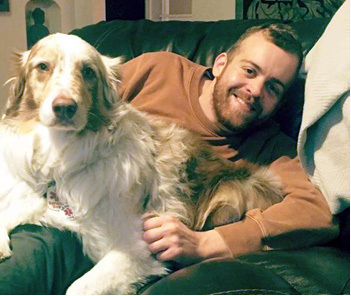 Prior to entering the tech industry, Brian graduated from Illinois State University in 2009 with a double major in business and theatre arts. He spent the next year as an “underpaid” traveling actor while also leading the occasional production of a music festival, charity, and art event. Nowadays, he enjoys his spare time with his dog, Simon, and his supportive partner, Isabella. He’s also a huge music fan and a serial concert goer. In the last decade, he’s travelled all over the US to support his favorite band Phish ‘almost 150 times’! If you haven’t seen our new website yet, check it out at www.connexionz.us. It’s packed with news and helpful information about our products, services and customer case studies. There’s also our Facebook page where we often post news as it happens. Please like our page and add your feedback, we’d love to hear from you!